OK, first a bit of science - there are some pedigree breeds that are predisposed to low serum concentrations of IgA, one of those breeds is the German Shepherd. This important immunoglobulin is responsible for protecting the lining of mucosal sites from pathogens. Low concentrations of IgA are associated with canine atopic dermatitis and pancreatic acinar atrophy. This is why we are seeing an ever increasing number of itchy dogs and more suffering from pancreatic insufficiency. Scientific Evidence of IgA Deficieny in German Shepherds. DON'T VACCINATE - THE MOST IMPORTANT PREVENTATIVE MEASURE. Even giving just the puppy vaccines is not safe as this is when your dog's immune system is immature and at its most vulnerable. Don't, however, leave your puppy/dog totally unprotected - use NOSODES. We recommend the 6 in 1 which includes kennel cough. A kibble diet has become the norm here for our pets because it's relatively cheap and convenient, but do you really know what is in this doggy junk food? The ingredients listed on the bags isn't that helpful either and let us not forget that any meat in there will be the kind labelled unfit for human consumption. The giant corporations behind these kibbles are putting profit before your pet's health. You should aim for a natural, minimally processed diet that’s also free of chemical preservatives and fillers. A grain-free diet is an excellent first step in combating skin problems. Many commercial pet foods are overloaded with processed and genetically modified grains, which also contains lots of gluten. They are not obliged to label everything in there either. Even if you feed a raw food diet, you are feeding your pet foods that they would never eat if they hadn't been domesticated. When did you last see a dog hunt and kill a cow, a sheep or a pig? Every livestock animal going into the food chain (including organic) are injected with low dose antibiotics and growth hormones. 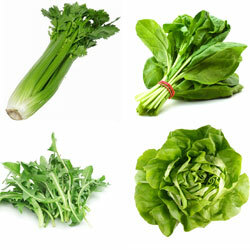 Important foods to add to your dog's diet are cooling food such as celery. Plant Based Companion Animal Diets for health and longevity. 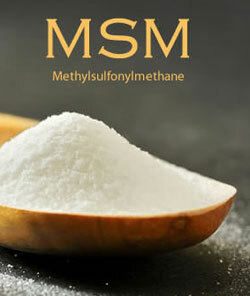 MSM is an organic sulphur which fruits and vegetables absorb from rainwater. Unfortunately, because of modern agricultural methods, most natural MSM even in raw foods, has been destroyed so both we and our pets may be deficient. Cooking heating and freezing also destroy MSM. The benefits of MSM are many but this is most important for skin and allergies - 'MSM alleviates the symptoms of a large number of allergies, including food allergies, contact allergies, inhalation allergies, and others. The major anti-allergic characteristic of MSM is caused by its ability to bind to the mucosa and present a natural blocking interface between hosts and allergens. Besides, MSM alleviates allergies through detoxification and elimination of free radicals and improvement of cell permeability.' Other benefits of MSM. Naturally occurring sources of MSM are hard to come by so it is important to source as pure a supplement as possible. Buy MSM. Remember that MSM is also beneficial to your own health as well as your pets. 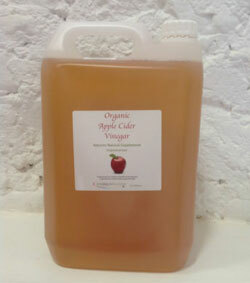 Raw Unfiltered Organic Apple Cider Vinegar. This lovely natural product has many health benefits for your dog when given both internally and used externally. You can place a tablespoon of ACV in your dogs drinking water, they don't seem to mind the taste. Internally it will help with arthritis, act as a flea repellent, tummy upsets, it breaks down plaque on teeth but it is also highly beneficial in relieving skin itching and helps bring your dog's skin and coat back to its normal state - nice, shiny and healthy. Externally you can use ACV on the itchy skin to alleviate discomfort but it's best to dilute 50/50 with water as it may sting if the skin is broken and sore. Dogs with skin allergies usually get ear problems too and ACV can also help when used to keep the ears clean. Remember that raw ACV also has many health benefits for us too and you should consume on a regular basis. Further information on the benefits of raw ACV. We all eat turmeric from time to time, usually in curries but did you know just how good this spice is for both you and your dogs - it's anti-everything. You know the old saying 'spice of life' well turmeric really is but you must use the organic variety. You can buy fresh root turmeric but it tastes like soap so I'm not sure dogs would willingly eat that - although you never know! The easiest way of getting it into your dog's diet would be to buy the organic powdered variety and mix in with their normal food. The benefits of turmeric are many including keeping the heart healthy, detoxification, anti-cancer and it helps alleviate allergies and much more. More on cancer prevention in dogs. The dose you give is 1/8 to a 1/4 teaspoon per day, for every 10lbs of weight. Sprinkle onto their food and mix it in. 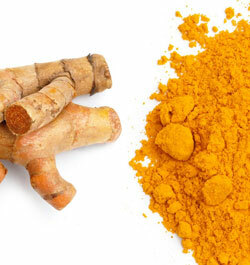 Much more about the benefits of turmeric for dogs. 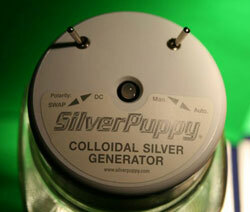 We have been using colloidal silver for many years and make our own using our Silver Puppy colloidal silver generator. Colloidal silver is known to be a very powerful antibiotic to which resistance never develops, anti-fungal and it is thought to be anti-viral too. For the purpose of skin allergies, it is useful for treating the symptoms which may have resulted in sore, infected lesions because of scratching. CS is an absolute essential to keep in the house for both you and your pets. You can either make your own or buy online. You can use internally and externally; it can also be used to treat ear infections and eye infections. Colloidal Silver For Dogs.